The big news this year was Haile Gebrselassie’s new world record for the half marathon distance. Even among the locals, this race generates more interest than just about any other running event in town. Quest Club was well represented in both the marathon and half marathon. 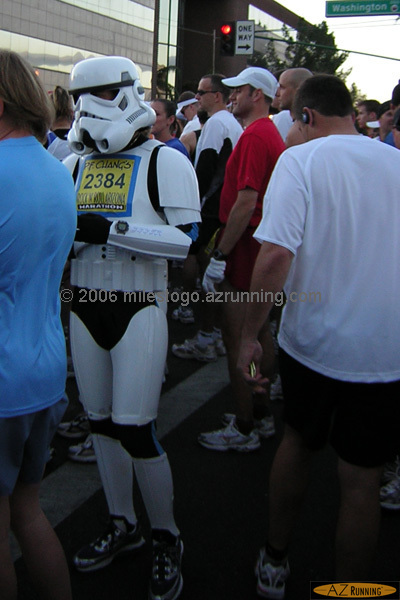 Even a couple “Braveheart” warriors and an Imperial Stormtrooper took part in the activities. This entry was posted on Monday, January 16th, 2006 at 12:33 am	and is filed under Quest Club. You can follow any responses to this entry through the RSS 2.0 feed. You can skip to the end and leave a response. Pinging is currently not allowed.